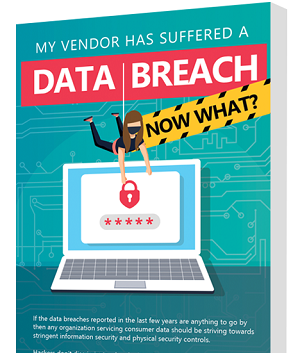 My Vendor Has Suffered a Data Breach: Now What? It's not so much IF an organization will be hacked but WHEN it will be hacked. Failed cyber attacks are noted on a daily basis, if not hourly basis. So what if your vendor suffers a data breach? Are you prepared to handle it? Download our infographic to know what to do.